Home » Heart Health » Cholesterol » Do you really need to fast before a cholesterol test? 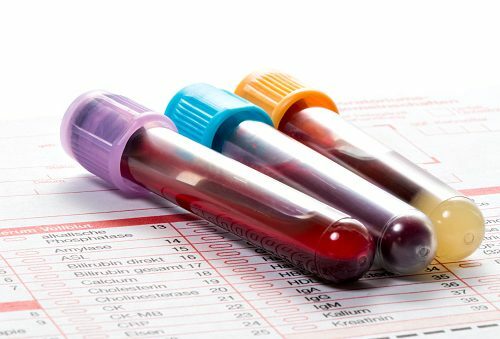 When your doctor wants to check your cholesterol levels, they will give you a blood test requisition along with telling you that you need to fast for at least eight hours prior to completing the test. If you forget to fast before your cholesterol test, your results may not be accurate and the test would need to be redone. But the notion of fasting prior to a cholesterol test may soon come to an end due to a new discovery from researchers at the Johns Hopkins University of Medicine. Seth Martin is the lead researcher behind the method that calculates LDL cholesterol without fasting. Furthermore, it is believed that Martins’ new method may be more accurate at measuring LDL cholesterol than the current method of fasting. Previous studies from Martin and his team uncovered that the method of fasting to measure cholesterol greatly underestimates cholesterol levels, particularly among those with high triglycerides, which can be dangerous for patients. The researchers reviewed data previously gathered in the clinical repository. This data included triglyceride levels. The results uncovered that nearly 30 percent of non-fasting participants had greater than 10 milligrams per deciliter of inaccurate cholesterol measurements using the original Friedewald method compared to less than three percent inaccuracy when using the new method. Not only does the new method not take longer to obtain results, but the cost is around the same as the traditional method. Although our bodies need cholesterol to function, when LDL cholesterol levels are high, this can increase the risk of a cardiovascular-related event occurring like a heart attack or stroke. It’s important that you maintain a healthy balance of LDL cholesterol and HDL cholesterol levels to reduce your risk of these events.